Not everyone owns a tablet computer these days. Chances are those who do picked it up to surf the Internet, read books, play games, and watch movies. Your iPad does have a decent browser in Safari. 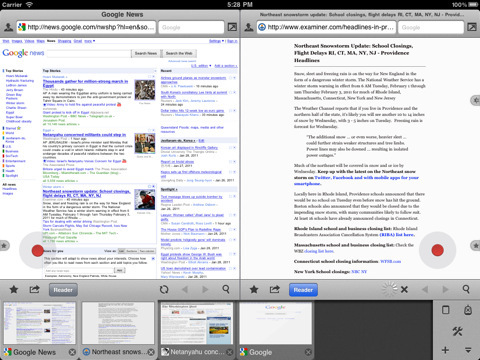 Safari is more than decent for browsing the web. Maven Web Browser takes it a step further. It is advanced browser that offers unlimited tab browsing, dual screen, and password saving. Maven Web Browser is developed to make your browsing experience richer. For starters, it has a cool trackball for web pages that do not fit on one page. Instead of playing with your fingers busily on your iPad, you can use this feature to save yourself some effort. The app does have a cool bookmark “Jog-Dial” feature that makes switching to your other favorite sites easy. 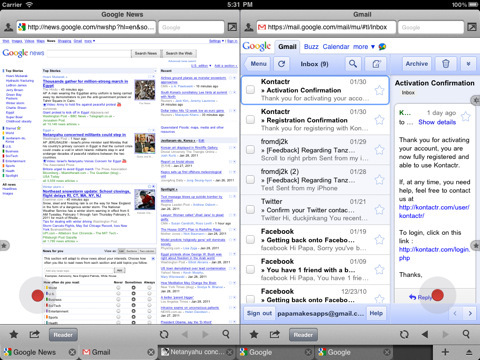 Maven Web Browser does have a dual screen feature just in case you want to see more on your iPad’s screen. It supports private browsing, which is a big plus. Maven Web Browser can save your passwords to in your KeyChain too. If you are tired of using Safari and want to get your hands on an enhanced browser that offers a different set of features, Maven Web Browser has you covered.